Discussion: Thursday, November 8, 2018, 6:30-8:00 pm. Location at the home of Mimi Sanders, 318 SW Palatine Hill Rd (big yellow church) in Portland, 503-293-6195. 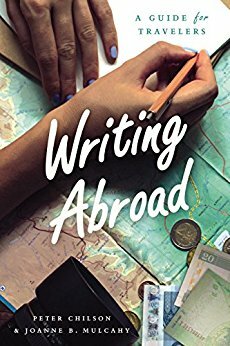 Participating in our discussion will be Peter Chilson and Joanne B. Mulcahy, authors of Writing Abroad: A Guide for Writers. This will be a joint gathering of Columbia River Peace Corps Association’s Book Club and Writers Workshop.